At first a great intro and later om a combination of tricks that is hard to explain. Very good! rulez added on the 2017-06-25 10:56:37 by w00t! Stylish demo with a catchy tune. The x-rotator part is way too long though. Great transitions and more than a few very beautiful parts, great music to boot. The 3d part does kinda drag on. looks nice but it's not my cup of tea. Some great original effects here! And style too. Great and very stylish. Awesome music!! Lots of pacing problems as remarked earlier, the x rotator definitely shouldn't have been two minutes long, especially as design-wise it sticks out like a sore thumb. The music holds this together pretty well. I'm not crazy about it as far as songwriting goes but the SID engineering is top notch. If you're considering a final version: Snip the rotator parts in half (as k3wl as they are, there's too much of it) and exchange the ugly logo next to the marching squares. Everything else was pretty neat (nice dir art!) though. Many great new effects. But the rotating thingy is way too long. The idea was perfectly clear after the first three variations already. If you make a scroller, you don't really have to demonstrate that it is actually capable of showing all possible character combinations. Several very fresh transitions and a good selection of modern, "layered" scenes (I do not want to use the word "effects"). The main problem with the x-rotator is that it should not have been cropped. Anyway, there are many cool ideas packed into this nice demo. Nice demo! At the very starting scene I thought, wait that's really a C64 demo?... The rather big and modifying bitmap on the xrotator is nice, too. Very nice gfx on that rotator (effect shown too long though), and i really like the music - those filter settings are crazy and the kind of reverbed claps amazed me. Beginning and transition animations are also really nice additives here and i haven't seen such special kind of "chessboard/interference/scroller" effect before. Really cool effects. I don't care if the rotator is too long, it looks excellent. Really awesome music :) Cool! nice demo. 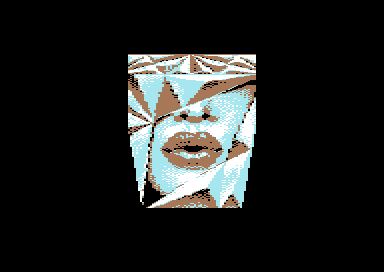 thanks for keeping polish c64 scene active! Pretty good, but the x-rotator part lasted about 5 times longer than it should have. A bit long (usual on c64) but Arise means high quality! page created in 0.017529 seconds with 15 queries.